Amanda Barnier receives funding from the Australian Research Council. Can you recall what you were doing last Wednesday between 2.15pm and 2.36pm? Where were you? What did you see? Who did you talk to? How well do you remember those 21 minutes? Now try to recall Wednesday six weeks ago. What about a Wednesday 15 years ago? How detailed and accurate do you think your memories are of these recent or long-ago events? 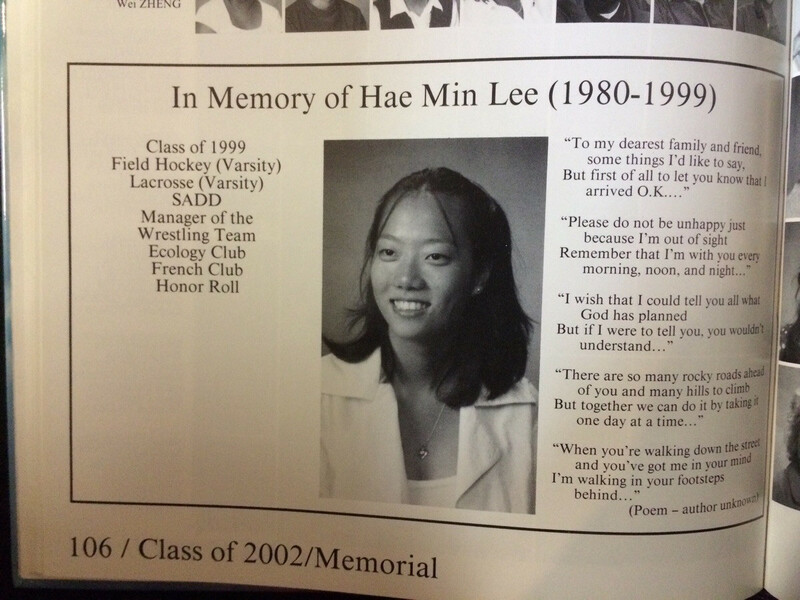 An addictive new weekly podcast, Serial, asks questions such as these to “search for the truth” about the murder of 18-year-old American student Hae Min Lee. On Wednesday, January 13 1999, Hae disappeared in Baltimore County, Maryland. Four weeks later her body was found in a shallow grave in nearby parkland; she had been strangled. Six weeks later Baltimore City detectives arrested Hae’s ex-boyfriend, Adnan Syed. Adnan’s trial hinged on where he was for 21 minutes between 2.15pm and 2.36pm on the day Hae disappeared; the time she died. The state’s case against Adnan and his eventual conviction for first-degree murder relied on the testimony — the reported memories — of another teenage boy named Jay. There was little or no physical evidence linking Adnan to the crime. Jay said Adnan murdered Hae. Adnan said he had nothing to do with it and didn’t know who did. Serial’s host and co-producer, Sarah Koenig, tries to piece together what happened through memories: memory reports from then, as told at the trial; and memory reports from now, 15 years after these events, of Adnan (who is serving a life sentence in jail), Jay, their classmates, friends, families, the police and even Hae (via the diary she left behind). Koenig’s search, successful or not, raises fascinating questions about the nature, meaning and complexities of personal recollections. As we go about our daily business, we perceive and experience things that are captured in great detail and go into sensory memory for a brief period of three to four seconds. Most of this information we lose. But information that we pay attention to or that captures our attention is transferred to short-term memory; this is what is in your mind right now (the words of this article, for instance, and their meaning). Short-term memory can hold a small amount of information (seven items, plus or minus two) for a limited time (about 15 to 20 seconds). If we don’t use that information almost immediately (such as dial a phone number we’ve just been told) or rehearse it, we forget it. But if rehearsed, it becomes encoded and can be stored in long-term memory. Information that reaches long-term memory can last there for long periods of time and be retrieved – brought to consciousness – as a memory report or behaviour, such as dialling that phone number again. So for Adnan, Jay and their friends to remember what happened on the day Hae disappeared 15 years ago they need to have encoded, stored and be able to retrieve those memories. But memory is never guaranteed. An event may not be encoded in the first place, it may be difficult to retrieve, or it may be lost from storage. Will: It’s hard to remember that one interaction. Koenig: You mean I should have asked you 15 years ago? Will: Maybe five I would have remembered. Of course, people forget for other reasons, such as intentionally trying to suppress or not think about certain, perhaps upsetting, events. And people can misremember in myriad ways that have nothing to do with deception. They confuse events from different days, or confuse details and events they experienced themselves with ones they learnt about from someone else. Or they fill in gaps in memory with their best guess of what they probably did and later confuse this with their original memory. What should we expect from memory? In most situations, we don’t need to recall everything that happens to us every minute of any particular day. Remembering the gist of what happened is often sufficient. But in the legal setting, a high level of precision is usually expected and needed, even when long periods have elapsed since the event in question. Surveys suggest that people expect they can accurately reproduce details of long-ago events, especially emotional events, even though research shows we are prone to memory failures and errors. In episode one of Serial, Koenig describes Adnan’s memories of January 13 as “mushy”, “unhelpful” and “problematic”. This is because he remembers only the gist of the day and not details, although he is adamant he did not kill Hae Min Lee. “Why can’t you remember anything?” Koenig challenges Adnan. Koenig seeks (but often does not find) detailed and consistent accounts of events she now knows are significant. Significant or emotional events typically are better remembered, especially when well rehearsed. But even reported memories of significant, well-rehearsed events can vary over time. Such fluctuations may be important or unimportant; it is difficult to tell. This is an area of great practical significance for the legal system and needs more research. How can we tell if memories are accurate? In one episode of Serial, Koenig worries that Adnan is lying to her — “playing her” — because his memory reports of the day Hae disappeared seem so vague. In another episode, Koenig points out major inconsistencies in Jay’s seemingly more complete accounts of what happened that day. In the absence of definitive physical evidence or corroboration, how do we judge memories? People routinely make judgements about the origin or reality of their own memories: “Did I experience it, imagine it, hear about it on the radio?” Memory researchers call this “personal source monitoring”. And we routinely make judgements about other people’s memories; researchers call this “interpersonal source monitoring”. Everyone has intuitions about what a true memory looks and sounds like. In fact, we use the presence or absence of certain memory qualities — such as completeness, coherence, confidence, emotion — to judge the source or accuracy of our own and others’ memories. On average, memories based in reality contain more perceptual, conceptual, emotional and contextual details. But lots of different kinds of details do not guarantee that a memory is accurate even if the details are persuasive to yourself and others. An event you imagined, for instance, can have similar qualities to an event you genuinely experienced. Still, in Serial, in courtrooms and in everyday life, detailed, complete and consistent memory reports often are given more weight than vague, fragmented and/or inconsistent memories, which are treated with suspicion. Since eyewitness memory remains a central form of evidence in criminal proceedings, we need to be aware – as courts increasingly are – that incompleteness doesn’t mean inaccurate and completeness doesn’t mean accurate. And honest witnesses can be mistaken about the past. Shouldn’t our memories make sense? In the latest episodes of Serial, Koenig complains that at times neither Adnan’s nor Jay’s stories make sense. “It doesn’t add up,” she says. We like memories to make sense. We strive for meaning and coherence in stories of our personal and collective pasts. If we can’t find meaning, we sometimes impose it. There is risk in looking for or imposing meaning where there is none or where there is messiness. Psychologists Kevin McConkey and Peter Sheehan, who collaborated with Australian police forces to evaluate the use of hypnosis to help victims and witnesses recall information, described choices and behaviours of some people involved in the forensic cases as perplexing: “apparent simplicity”, they wrote, “clouds considerable complexity”. Memories are psychological representations and not like photographs, videos or other types of recording. This reconstructive rather than reproductive nature of memory means that our knowledge now invariably influences our reported memories of then. So the present — Adnan convicted of Hae’s murder and incarcerated — must infuse those memories of the past that Serial is trying to faithfully reconstruct. It’s unclear whether Koenig will find the truth of Hae Min Lee’s murder. Memory research suggests that in the absence of physical evidence, she may get no further than a constructed tapestry of what is now believed in reported memories rather than the genuine reality of what happened to Hae. In any case, Serial is compelling listening. It has been the most downloaded iTunes podcast in recent weeks and has sparked countless water-cooler conversations about who is telling the truth, how memory works and who is responsible for the murder of Hae Min Lee. Listen to or download the first nine episodes of Serial here. Editor’s note: Amanda will be answering questions between 4 and 5pm AEDT on November 21. Ask your questions about memory in the comments below.